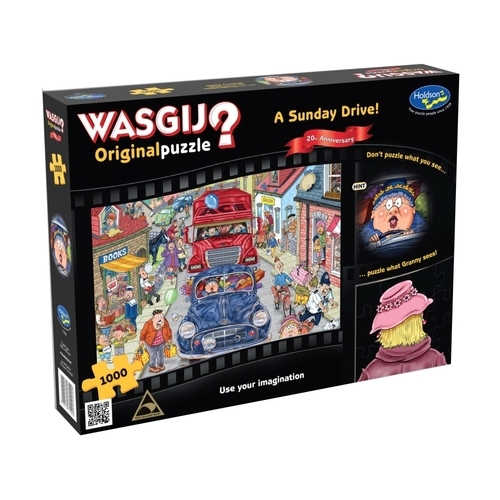 The picture you see on the lid is not the puzzle picture; it is simply a clue to what the puzzle picture is! 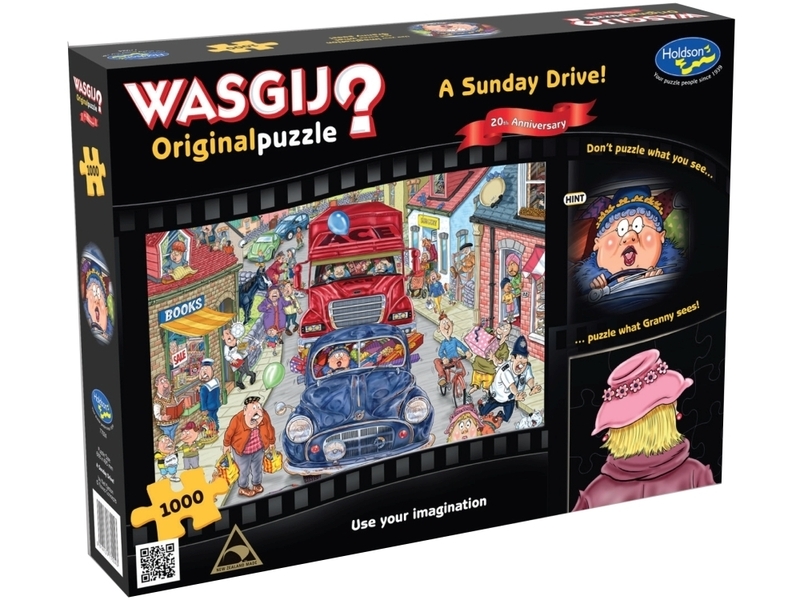 This limited edition release is based on the very first Wasgij puzzle, but with a twist! After 20 years, Granny has returned to the village she visited on her Sunday Drive. Granny hasn't changed much, and neither has her car, but the village certainly has - more shops, more houses and a lot more people! But something has stopped Granny and the villagers in their tracks - has she seen a familiar face or two in the street ahead? Don't puzzle what you see... use your imagination!